Easily a favorite episode — Listen as we get into the STRENGTH SWITCH with author, professor and psychologist, Lea Waters. Lea’s work inspires parents (and others) to shift to a strength based perspective of children. Her insight is extremely moving! Perhaps you remember the feeling as a child of not having the language to describe your strengths. Strengths seem to be categorized in the areas of academia, arts and athletics…. but what about the many other strengths which make us so unique? Perhaps this is what your child is going through now. If you are interested in knowing more about the specific strengths that make one a unique individual then this is the show for you! Share your thoughts and experiences with us on iTunes or Instagram! Rate and review on iTunes! We LOVE hearing from you – as always- Meet us (and a community of over 10,000 questers! ) on Instagram or Facebook! AND……Do you have a question for Lea? Send us your question for our mini series! "Lea's goal is to help people thrive using the science of positive psychology." Lea Waters, Ph.D., is President of the International Positive Psychology Association and the Gerry Higgins Chair in Positive Psychology at the University of Melbourne, Australia. She holds an affiliate position with Cambridge University’s Well-being Institute (UK) and the Center for Positive Organizations at the University of Michigan (USA). Waters was the Founding Director of the Centre for Positive Psychology at the University of Melbourne and was listed in the Top 100 Women of Influence by The Australian Financial Review in 2015. 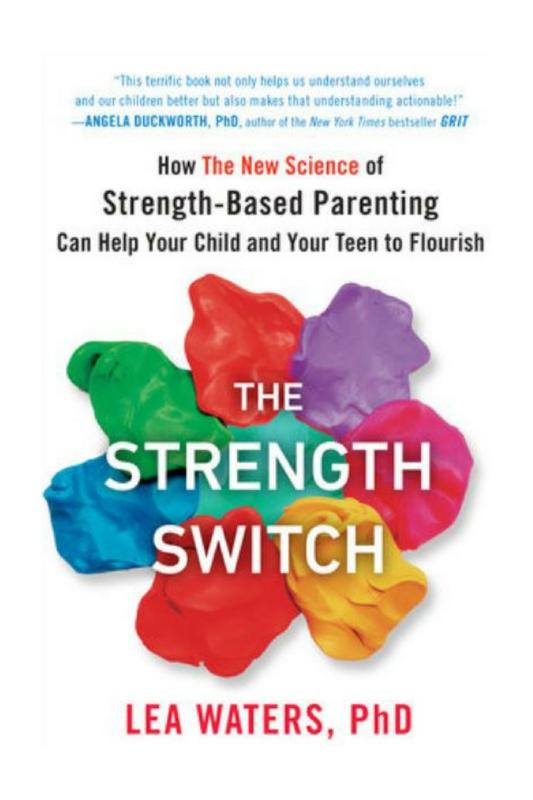 Lea is the author of "The Strength Switch" and creator of the Strength Switch online parenting course. She has also served as a consultant to a wide range of businesses. Waters lives in Melbourne, Australia, with her husband, Matthew Scholes; her son, Nicholas; and her daughter, Emily.